If you regularly play online casino poker, you may have questioned your decision to opt for online poker over live poker in a land based casino. With so many UK poker sites out there, many players now choose online poker over live games, but some do still prefer the traditional way of playing. There are pros and cons of choosing both live or online games. This article will compare and contrast both options, so you can decide which one suits you best. The first thing to remember when comparing live and online poker, is whether you play in a casino or online, you are playing exactly the same game. The game itself doesn’t change, but the experience definitely does. Although you may be a poker pro online, you may struggle playing a live game in a casino. This is because although the game is the game, there are certain skills that poker players must have to succeed in a land based casino. In addition to this, there is certain etiquette that comes with playing at a live table. The main difference between live and online poker is that you are actually face to face with your opponents. Some new players can struggle with this, particularly if they are used to playing online, as they can no longer hide behind a screen. Playing face to face requires a totally different approach to bluffing. Although you may used to be bluffing online and find it easy to pick up on the bluffs of others, it’s a whole different experience in real life. For a start, a real poker table is a lot bigger than a virtual one, meaning keeping track of the moves of other players is much harder. In addition to this, you must make decisions based on body language and facial expressions of other players, and if they’re good players, they will be able to fake these. Another big difference between online poker and casino based poker is managing your chips and being comfortable playing with physical chips. In online poker, chips are virtual and very easy to keep track of, this isn’t as easy when playing with physical chips. Some players can struggle with physical chips if they are used to usually playing online. Furthermore, etiquette at a physical table if very different from a virtual one. If you’re the type of player that likes to insult others in the chat window at an online table, then you’ll probably struggle playing in real life. Most casinos won’t tolerate players being rude to their opponents. There are many differences between online vs live poker etiquette, so be sure to check the archives on this site for more information on this. The last big difference between live and online poker is the access to bonuses. Most land based casinos won’t offer players bonuses at all, and if they do it is very unlikely that they will match what is available online. Playing online offers a much simpler experience for all players involved. For a start, your chips and bankroll is completely managed for you and displayed on the screen, so you’ll never lose track of how much you’re spending and how much you have left. Furthermore, betting and calling is much simpler online, simply controlled by pressing a button or moving a slider to raise your bet. 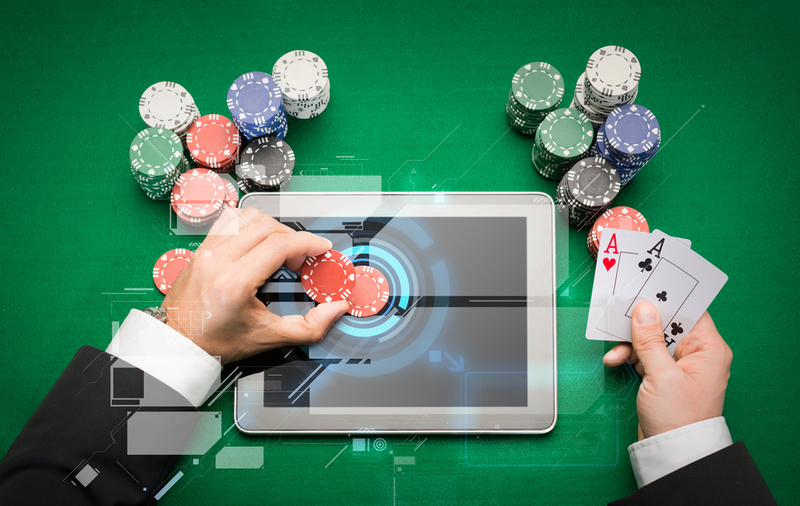 Playing online also requires less concentration than in a live casino, meaning players can choose to autoplay actions like check/fold, allowing them to play on several tables at the same time. Online poker bonuses can be a great way for players to increase their bankroll with little investment. 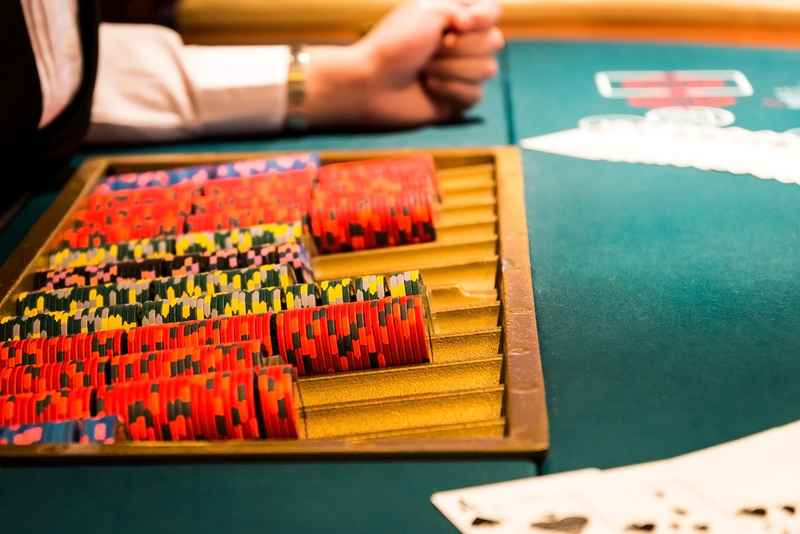 When playing in a land based casino, players will have to stake all of their own money and may be less likely to take the risks that they would have with bonus funds. Many online poker sites also offer players regular loyalty bonuses, usually in the form of cash or tournament tickets. Bluffing online is generally a lot easier than bluffing in real life, so is reading the bluffs of your opponents. Reading bluffs online is based solely on the gameplay of the other players as their reactions and body language isn’t visible. Bluffing at a live table takes considerable practice and is another thing that you have to be very aware of when playing. Some players at a live table may be so concerned with the body language/ facial expressions they are displaying that their gameplay suffers as a result of it. Neither is best, it’s entirely subjective as to what type of player you are. Generally though, playing online is better for beginners, or players that don’t like a lot of human interaction. Previous ArticlePrevious Post: First time online casino players, listen up! Next ArticleNext Article: Freerolls and Free Spins – Cheap Thrills at the Casino!